Autumn | Robert Hancock Co. Thanks to all of you for cleaning up your balconies, and helping improve the beauty that is South Park Apartments. Because of this we are having a balcony decorating contest! Winners will receive 1st, 2nd and 3rd place prizes! And, winners will be chosen by mid November. Please remember that decorations have to be tasteful and balconies are still not used for storage. Also, decorations in the hallways outside your front door are prohibited unless they are attached to your door or hand railing. Anything set in the hallway or front steps to the building must be removed as it is a fire/tripping hazard. Let’s get into our Autumn season the right way! 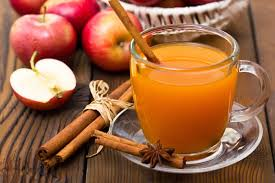 Make Some Apple Cider To Welcome Autumn! We here at South Park love Autumn! The beautiful leaves and the changing temperatures make us want to enjoy one of the seasons top drinks! Try this out and let us have a cup to enjoy with you!